What is taking up space on my hard drive? If you haven’t got space on your computer for that new app or game, or the clutter on your hard drive is just driving you crazy, you’re not alone. With the introduction of SSDs (solid-state drives) offering loads less space than traditional mechanical hard drives, in conjunction with games and applications requiring more and more disk space, your hard drive can easily become full. Windows comes with a handful of great tools to help keep your computer’s storage nice and tidy. The problem is, not everybody knows where to find these functions, or what to look for. Disk Cleanup is the first of these tools. It allows you to delete data such as temporary files, which can amount to GB’s (gigabytes) of data over time. Another function to mention here is ‘Clean up system files’. Using this function, you can remove older Windows restore points from your drive, leaving only the most recent one. If you wish to use this function, please ensure that your computer is running as expected, as once the restore points are removed, you will not be able to fall back to them. For many computer users, most of the disk space used is by applications and games. If you find that you no longer use certain programs, you can uninstall and remove them from your hard drive. Sort the list of programs by file size by clicking the ‘Size header’. Now you can see which programs take up the most space on your computer. It is likely that you’ve accumulated duplicate files over time, which are unnecessary for the running of your computer. Unfortunately, Windows does not provide an easy way to find and remove these duplicate files, so a third party software is needed. There are a number of applications for the removal of duplicate files, but we’ll look at Duplicate Sweeper here. Duplicate Sweeper has a clear and easy interface, and finds and removes duplicates easily. Let Duplicate Sweeper automatically select duplicate files for removal, using your preferences, or select individual files yourself. On a similar point, you can also delete any duplicate tracks in iTunes which can take up a lot of disk space. This function can be found in iTunes -> File -> Library -> Show Duplicate Items. From this list you can delete any duplicate tracks. However, if you have loads of duplicate files listed, which ones should you delete? To manually go through each track and pick the best may take some time. For this reason, many people use a third-party software to help out. One such application is Tune Sweeper. 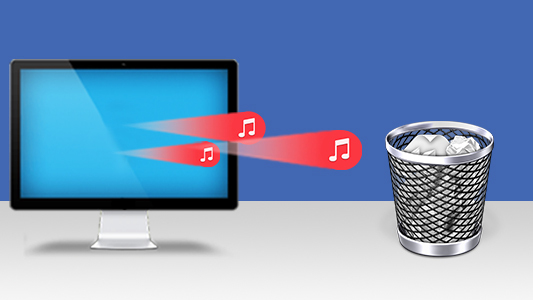 Tune Sweeper can quickly search your iTunes library for duplicates, and automatically select which to remove based on preferences such as highest quality, longest duration or latest played. 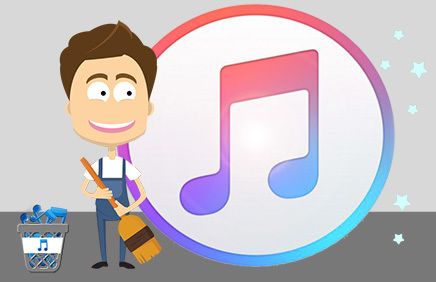 Tune Sweeper can also tidy up your iTunes library by fixing track information, downloading missing album artwork to tracks, removing missing tracks and loads more. “Wait, we just removed temporary files using Windows Disk Cleanup”, I hear you say. Yes, we deleted temporary files containing webpages, stored on your hard drive for quick viewing. Unfortunately, the Disk Cleanup method did not include files saved by external apps such as Google Chrome or Mozilla Firefox. There may still be gigabytes worth of cookies, internet history and caches stored on your computer. You can delete this information directly from your browser, or by using a third-party application. For example, using Google Chrome, you can open the settings menu (the 3 dots next to the address bar) -> More tools -> Clear Browsing data… From here you can select which data you wish to remove, then click ‘Clear browsing data’. Some of these files which we have removed using the above steps may end up being moved to the Recycle Bin. This is a nice safety measure, because if you make a mistake and have removed a file which you now want back, you can easily restore the file from the Recycle Bin. However, the files in the Recycle Bin are still taking up space on your computer. If you’re sure that you would like to remove the files in your Recycle Bin, you can select files and right-click to delete them, or simply click ‘Empty the Recycle Bin’ to permanently delete all of the files. A common method for keeping data safe is to transfer it to external storage. There are 2 platforms for storing your data elsewhere from your main computer: physical storage and cloud storage. Physical storage comes in many different shapes and sizes, but can most commonly be seen as USB Drives or external hard drives. Transferring data from your PC hard drive to an external hard drive allows you to delete the original files on your PC, while still keeping them safe in storage. Needless to say, this clear a huge chunk of storage space on your PC. Cloud Storage allows you to store your files on remote servers, and access them via the internet. There are many different cloud service providers: Apple iCloud and Microsoft OneDrive are only two examples. Most providers offer a certain amount of storage space free, and then give the option to pay monthly for more storage space if you should need it. When adding a new file to your computer, a particular portion of your hard drive is allocated to store the file. However, after constantly saving and deleting files, a disk will become ‘fragmented’. This means that there are gaps in your hard drive where subsequent files would not fit, so they are left vacant. As well as affecting your usable free space on your hard drive, fragmentation also has a negative impact on your computer’s ability to store your data in sequence, hence slowing down it’s speed. Luckily, Windows has us covered, providing a ‘Disk Defragmentation’ tool. Using this tool, we can analyze which of our drives would benefit from defragmentation, before we commit to defragging. This is very useful, as if you have a large drive full of data, it may take a substantial amount of time to defrag. To make use of this tool, hit your Windows icon, or Start menu, then start typing “Defragment”. From the search list, click Disk Defragmenter. Once you see the tool’s window, you can elect each drive and analyze them to determine what percentage of them is fragmented. Higher percentages mean higher fragmentation. To defragment your disk, just hit “Defragment Disk”. It is not advised to defragment your hard drive too often, as the constant writing and erasing of data can reduce the lifespan of your hard drive. It may also be worth pointing out that there has been some debate as to whether defragmentation of SSDs (solid-state drives) is beneficial or detrimental to the drive. If you are unsure, you can read up on the discussion at PC World. RAM (Random Access Memory) is the hardware in your computer which determines how you store data. RAM stores data or instructions which you use frequently, providing fast read or write processes to improve the general speed of your computer experience. Sounds great, right? Right. However, if you don’t have sufficient RAM, your computer will start to store the overflow of information which should be stored in RAM, in your hard drive instead. Then, when your computer wants to read or write this data, it is a much slower process between hard drive-computer than RAM-computer. For these reasons, make sure that you have sufficient RAM for the processes that you generally do on your computer. It may be worth pointing out that the average user, who’s agenda may be text editing and web browsing, will not require as much RAM as a user who frequently runs multiple programs at once including photo or video editing and rendering software. You can find out how much RAM you currently have installed in your computer by going to Computer > Properties. 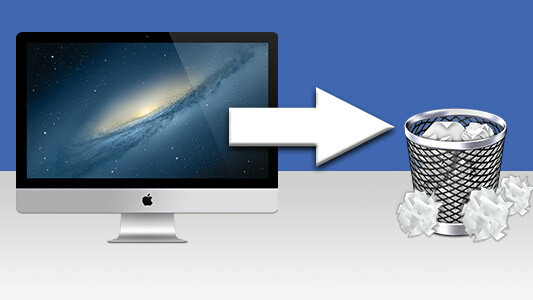 Save yourself time and effort - Find and Remove duplicate files from your PC or Mac. See how much space you could save with the free demo!